Watch this space for items for sale. 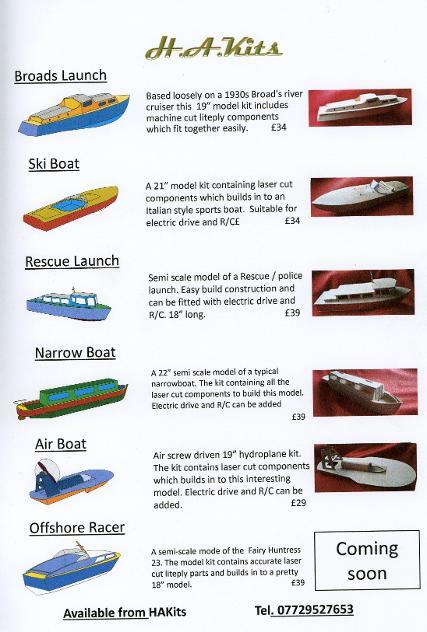 You can be advertise anything to do with model boats, and can be from plans to a finished Model Boat or tools and materials. These Kits are available from the telephone number on the display pic.